This bill also prohibits any requirement that an owner remove or reverse water-efficient landscaping measures, installed in response to a declaration of a state of emergency, upon the conclusion of the state of emergency. 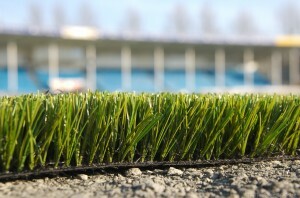 As anyone who has looked into replacing natural grass with artificial turf can tell you, there are different types and quality of artificial turf available in the market. AB 349 does not prevent an association from developing and applying reasonable landscape standards, including standards regarding the installation of artificial turf, so long as the standards do not restrict or prevent the installation of artificial turf, any other synthetic surface that resembles grass, or other drought tolerant landscape. In light of AB 349 and its immediate impact, associations which have not already done so should work quickly to develop architectural standards which allow for installation of artificial turf and “any other synthetic surface that resembles grass.” This can often best be done by working with a landscape architect who can advise the board of directors with regard to the different types of products available, and how those different products may look in community. Failure to have such standards in place may result in an association not being able to require owners seeking to install such items to install the type and quality materials which the association deems consistent with the aesthetics of the community.